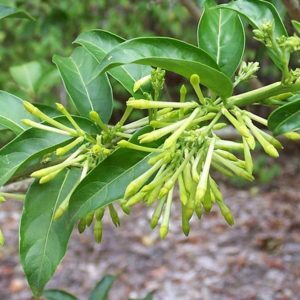 Large evergreen shrub, the young leafy shoots and green berries of which are toxic. 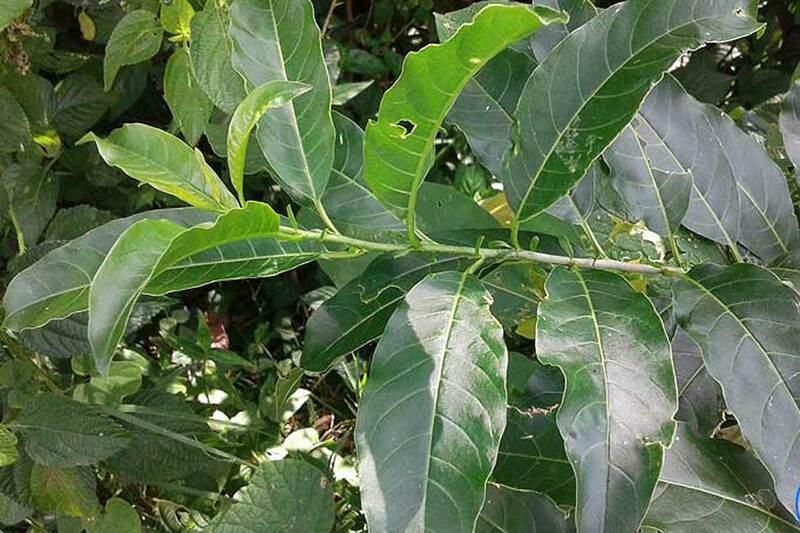 This poisonous plant has lance-shaped leaves and greenish-yellow, tube-shaped flowers, which appear from October to May. Leaves have unpleasant smell when crushed. This highly invasive species occur all over Leisure Isle, the few individuals occurring in Kingfisher Creek are being dealt with.